It may feel like you are alone in the world with a mountain pressing down on your shoulders and nobody cares about you. Well, you are not alone. In the US, about 1.6 million people suffer from this serious illness. It causes a prolonged period of sadness which affects the way a person feels, thinks and behaves. Anti-depressant medication is commonly prescribed to treat the symptoms of depression, but 25% or around 4 million people have shown no progress using the average antidepressant treatment. By the year 2030, research has predicted that depression will be a leading cause for negative impact on health and life expectancy all around the globe. Although depression has no inclination to socioeconomic, ethnic or racial boundaries, women still tend to suffer from it more. This serious medical condition lasts for a minimum of two weeks and hinders a person’s ability to carry out daily activities and tasks. Though leading scientific theories point the cause of depression to be neurotransmitter imbalances in the brain, the exact cause behind it is still unknown. More often than not, depressed patients suffer from anxiety as well. It is important to seek help if you experience any of these symptoms. Depression is crippling and prevents a person from carrying out normal daily functions. It affects those who are close to you including your family and friends as much as it affects you. As many as one million suicides are attributed to depression. Not only a huge economic burden for the society, but depression is also a cause for disability and disease burden worldwide. Anxiety is commonly experienced by many in everyday lives. So it’s important to distinguish between ordinary state of anxiety/stress and the one that can harm your health. Anxiety ranges from mild worrying sensations, nervousness and upset stomach to PTS disorders, panic attacks, and even phobias. Anxiety that occurs in response to stress or in an unfamiliar situation is normal. But the anxiety that occurs randomly without any cue should be carefully examined. In general, extreme exhaustion is the common manifestation of depression. Despite wanting to get better, you lack the will to act upon it. Every patient’s symptoms differ, but the common theme between all patients is a weak state of mind that is impossible to get rid of. Breaking free of this confined state of mind is the path to treating depression. Many side effects associated with the intake of antidepressant medication has led people to seek safer therapies such as acupuncture and herbal medicine. Acupuncture treatment for depression focuses on balancing energy levels and qi circulation. Since energy blockage causes imbalance in the state of mind, promoting proper flowing of qi and balancing energy levels becomes the key treatment strategy in treating anxiety and depression. Once proper balance and circulation is restored, it becomes possible to let go of anxiety and depression, you can start enjoying the life again. Oriental Medicine believes that the mind and body are closely interconnected. However, modern society strains the mind to the degree that this connection breaks, disrupting mind and body imbalance. Acupuncture helps treatment of anxiety and depression by bringing back the physical and mental balance prior to this condition, hence the patient can lead an easy life without the worry of undue stress. Despite there’s no specific cure available for depression, the use of acupuncture effectively brings plenty of patients back to their normal lives, free from all their symptoms. 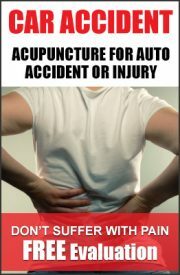 If you are depressed or know anyone who is, contact us to get more information to learn about acupuncture. Taking the first step is the most important step to make a difference in your life. If you are taking antidepressants already, you can incorporate acupuncture treatment to enhance the benefits and reduce the side effects. 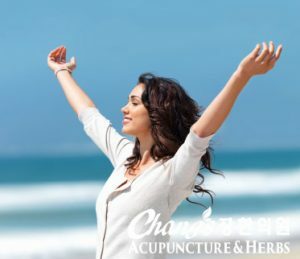 At Chang’s Acupuncture and Herbs, we often combine acupuncture and moxibustion to induce deep relaxation and to balance energy. You will feel the difference even after the first treatment. If you are suffering from anxiety or depression, we would like to help. Call us or send us an email so you can start on the path to improved emotional health starting today.